You know with Bradbury you’re going to get an incredibly prescient, considered meditation on a big-picture problem within society. “And The Rock Cried Out” is no exception. In fact, it may be his finest example of such work. What makes this story so impressive to me is its ability to highlight the gray areas in the debate. In the story, the so-called western world is destroyed by nuclear war while a wealthy, white couple is vacationing in South America. The couple must now deal for the first time with what it feels like to be the minority. It’s a fascinating setup for a story but one that could easily fall prey to oversimplified black and white categorizing and heavy-handed moralizing. I complained of such issues in Bradbury’s “The Other Foot.” We see nothing of the sort, though, here. Bradbury deftly shifts the way the reader views the protagonists and antagonist so that we’re never quite sure which side is which. These both are powerful moments, but the cigarette burn brings it all together, as John sees himself damaging the hotel property by a careless accident. At once, we see that John is not innocent, set off against his white predecessors, but nor were those white predecessors entirely guilty. None of us know how we got here or what we are doing, as Senor Esposa says. Fittingly, the story ends without resolution. The reader is left to imagine what happens when the two sides. There is no good guys, no bad guys. Everyone is innocent, everyone is guilty. 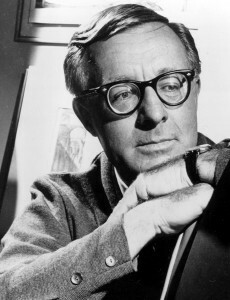 And that’s quite a trick on Bradbury’s part. “We were so convenient. The man who rented this room last month, he was convenient, he stood out. He made loud jokes about the natives’ siestas. He refused to learn even a smattering of Spanish. Let them learn English, by God, and speak like men, he said. And he drank too much and whored too much with this country’s women.” He broke off and moved back from the window. He stared at the room. The ending was totally resolved. John would be roped up to watch his beautiful wife gang raped and then they would both be hacked to death with machetes. Sleep well tonight.